Cheesecake has no language barrier. It is a language heard, understood and loved by everyone. Its history is just as rich of its creaminess, dating back to the ancient Greece island of Samos on the 2000 B.C. The sweet delicacy has since then traveled the globe with signature recipes created in every nation they set their foot in. No matter how old you are, what time it is, where ever you are, it is always the right time to eat cheesecake. Besides, who could decline an offer of a decadent slice of creamy cheesecake? We, for sure, could not resist the temptation! Baked cheesecake is the epitome of simplicity in its best. It is the base of all cheesecake, and it has a pride of its own. 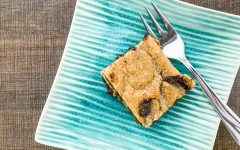 All ingredients are mixed together and until smooth and baked in an oven or a water bath, creating a velvety and dense dessert. Eggs and flour help set the cake to stand on its own and adds more flavor to the slice. The cheesecake is as good as it is, and you can get creative with it according to your preference! Whether you fancy blueberries, strawberries or everyone’s favorite Oreo biscuits, you can have topped it accordingly. Combine all the dry ingredients together with a fork. Add the melted until evenly moistened. Grease the bottom and sides of an 9-inch springform pan with butter and flour. Pour the crumbs into the pan and press down into the base and sides evenly. Refrigerate until it is ready to use. Beat the cream cheese on low speed for 1 minute until smooth and free of lumps. Gradually add the sugar and beat until creamy, for approximately 1 to 2 minutes. Add the sour cream, lemon zest and vanilla. Mix until it is well combined, do not over beat. Make sure to scrape down the sides of the bowl. Set the cheesecake pan on a large piece of aluminum foil and fold up the sides around it. Place the cake pan in a large roasting pan and pour boiling water to the roasting pan until it reaches halfway up the sides of the cheesecake pan. Bake for 45 minutes and be careful not to overcook. The cheesecake should still jiggle. 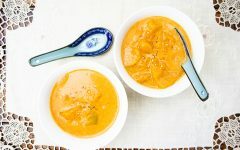 Let cool in the pan for 30 minutes and then chill in the refrigerator for at least 4 hours or up to overnight. If you do not have an oven, do not fret! You can still make your very own cheesecake, minus the oven. The perks of a no-bake cheesecake are that it produces a light and airy bites. Specifically, fold in technique plays a huge role in the application of incorporating the whipped technique to the batter. 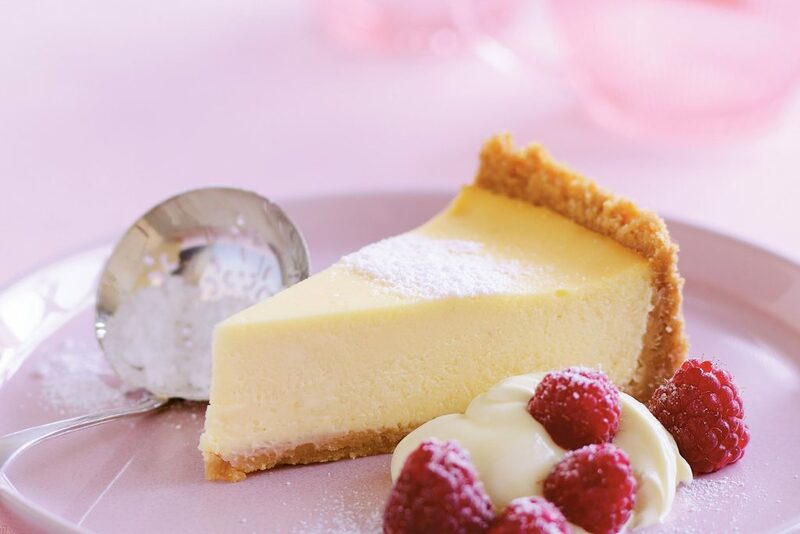 As it is chilled in the refrigerator, thickening agents such as gelatin help in creating the form and texture of the cheesecake. It is the perfect cheesecake for layering, perhaps with your favorite red velvet cake to make red velvet cheesecake. The options are limitless to your imagination. Whip the heavy cream in a high speed until heavy peak. Leave it in the chiller. Mix the cream cheese, vanilla extract and powdered sugar on low speed for 2 – 3 minutes, until it is smooth and fluffy. Add the sour cream and scrape down the sides of the bowl. Gradually fold in the whipped cream gently to the cream cheese mixture. Cover and place in the refrigerator for at least 4 hours or up to overnight. Of course, the list would not be complete without delving into the New York style cheesecake. The absolute classic is usually unadorned, embracing the pure and minimalist flavor. If you are wondering what makes it different from the typically baked cheesecake, official New York cheesecake is ultra-rich, dense and heavy. The perfect illustration will be tall, bronze-skinned with a satiny core and fine pored edges. Their enthusiasts will be adamant of their superiority compared to others. Beat the cream cheese and sour cream until smooth. Add sugar and vanilla and beat until smooth. Scrape down the sides and bottom as needed. Add in the eggs and yolks and beat until smooth. Stir in the flour and mix until just combined. Quickly stir in the heavy cream and mix until it is just incorporated in the batter. Bake for 85 minutes and turn off the oven. Chill in the refrigerator for at least 4 hours or up to overnight. Soufflé cheesecake, or commonly known as Japanese cheesecake is a melt-in-your-mouth cross between cheesecake and airy soufflé. It is as soft as cotton, as light as a feather and as fluffy as your childhood teddy bear. The match made in heaven has the tangy, creamy flavor of cheesecake with a moist, cotton texture of a soufflé. The science behind its softness is by incorporating egg whites into the batter which is then baked in a bain-marie (water bath) to perfection. Add cream of tartar and beat at high speed, gradually adding the sugar. Whisk cream cheese until smooth over a warm water bath. Continue whisking and gradually add the egg yolks. Pour and whisk the warm milk and butter from earlier. Remove from water bath and fold in sifted cake flour and corn starch. Lower the temperature into 140 °C for another 30 minutes. Let the cheesecake sit inside the oven for another 30 minutes with the doors closed. Remove the water bath and let the cheesecake sit inside the oven for another 30 minutes to cool, with the doors slightly opened. Unlike its cousins, this German cheesecake has a lighter and fluffier texture. The cheesecake itself should be made with a special cheese known as Quark, which is basically a fresh curd cheese or farmers cheese. The yogurt-like cheese is made from sour milk which creates a distinctive taste. 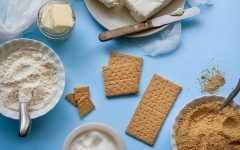 Moreover, the crust is almost similar to a shortbread crust, unlike the typical American style graham crackers. It is treated that will definitely please everyone! Cut the cold butter into small cubes, set aside. Combine flour, sugar and salt, then the butter. Knead with your hands just until the dough is smooth. Wrap in a plastic foil and place in the refrigerator for at least an hour. Grease the bottom and sides of a 10-inch springform pan with butter and flour. Roll out the dough and press it into the bottom and sides of the pan evenly. Beat the egg whites into stiff peaks. In another bowl, combine and beat quark, sugar, egg yolks, lemon juice and salt until it is combined. Pour the filling into the dough-lined pan and smooth the top with a spatula. Turn off the oven and let cool in the pan for 20 minutes and then chill in the refrigerator for at least 4 hours or up to overnight. Ostkaka is a cheesecake not as you know it. 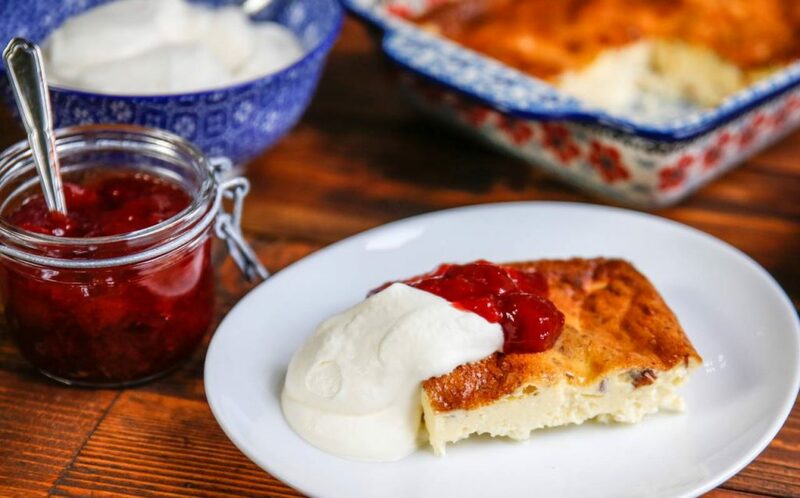 The name literally means cheesecake, and it is traditional Swedish favorite dating back to the 16th century. 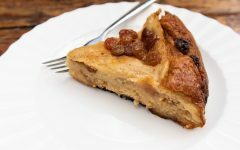 You will find no cream cheese and crumbs in the cake but instead, hint of almonds in each bite, whole or grounded. Traditionally, bakers make their own curds by adding rennet, a complex enzyme found in the mammal stomachs to the milk. However, the infamous cottage cheese works just fine as a substitute. 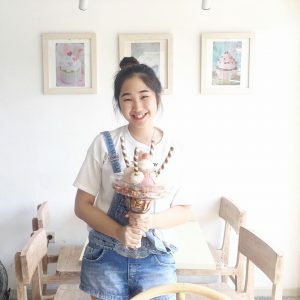 The dessert is usually topped with macerated refreshing strawberries and enjoyed lukewarm, refreshing in the summer and as comforting in the winter. It may not be as sweet as other cheesecake, but rest assured it is equally as delicious! Cook the strawberries and sugar on a low heat until it reaches desired consistency. 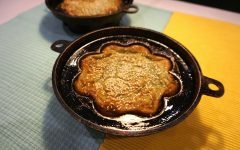 Grease the bottom and sides of a 8-inch springform pan with butter and flour. Pour the filling into the pan and smooth the top with a spatula. Bake for 60 minutes or until it rises up. The top of the cheesecake should be golden brown. Italians love their goats’ milk ricotta and mascarpone cheese so much that they incorporate them into their signature cheesecake. 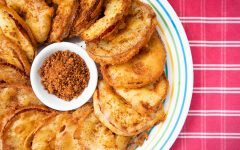 Their ancient version of cheesecake is a combination of flour, ricotta-like cheese and honey baked in a shape of loaves. For a little twist, adding mascarpone cheese will give a hint of sweet and slightly tart flavor. 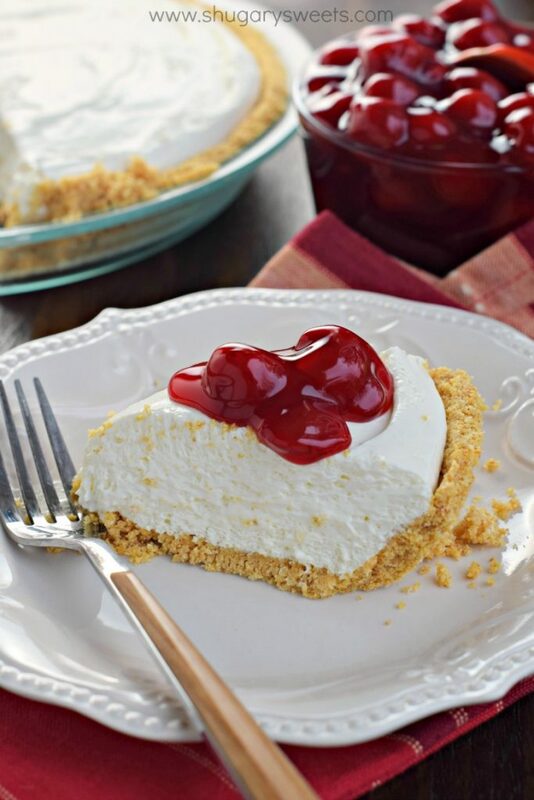 The crumbly texture partakes from the ricotta on the crust less cheesecake will make everyone go mamma mia! Beat together the cheese and sugar. Add two eggs at a time and mix. Add flour, vanilla and zests. Mix until just combined and smooth. 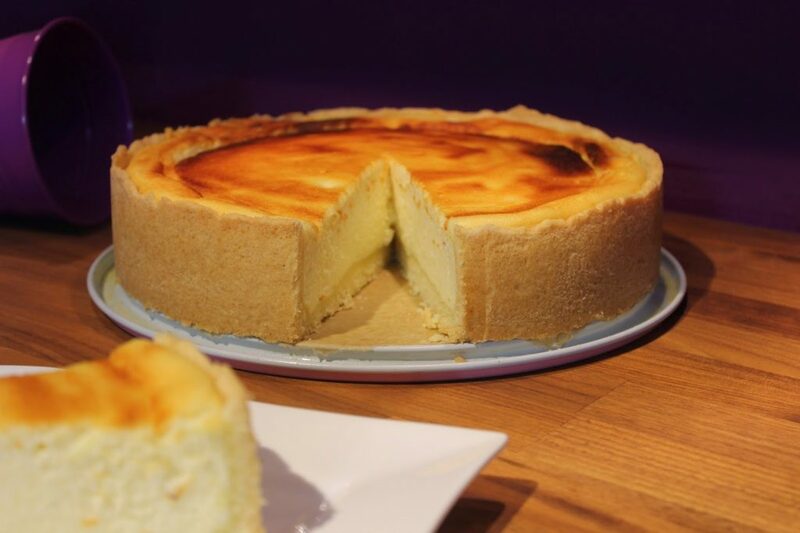 Bake for 60 to 90 minutes or until the top of the cheesecake is golden brown. Turn off the oven and let cool in the pan for 30 minutes and then chill in the refrigerator for at least 4 hours or up to overnight. The secret ingredient to the French cheesecake is Fromage Blanc, a soft white fresh cheese made from whole or skimmed milk. It has the consistency of a cream cheese but contains no fat or at the very least, less fat. Coincidence or not, Alsace is the home of fromage blanc and French cheesecake. 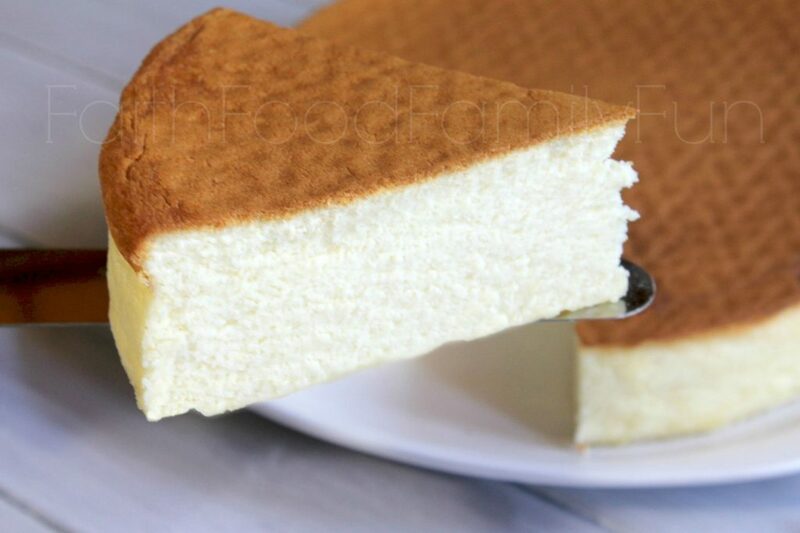 The cheesecake is remarkably light and airy, almost mousse-like which is obtained through the lift from the meringue base folded into the batter. When it’s done, the cheesecake will have a golden-brown top and firm on the inside. 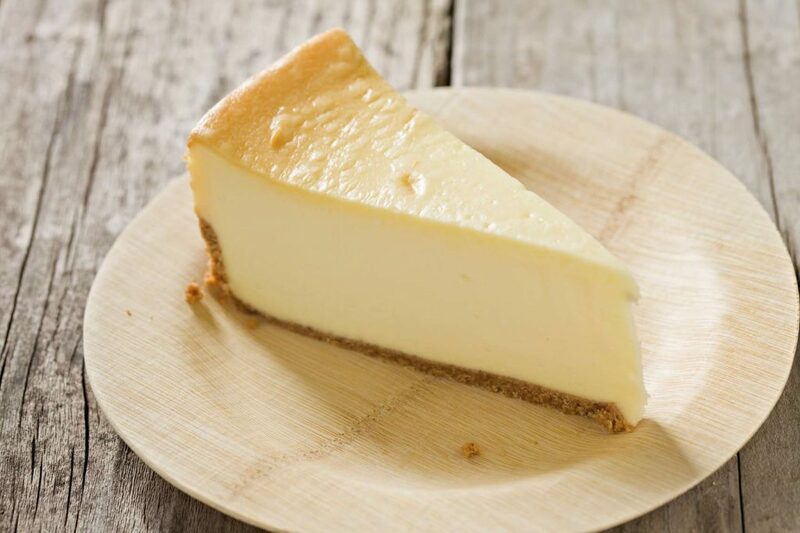 The most tedious process in the cheesecake will be waiting for it to cool down for you to eat! Beat the butter, icing sugar and salt until soft and creamy. Using your hand, knead the mixture into a ball. Press the dough and flatten into the bottom and sides of the pan evenly. Prick the pastry base with fork and chill it in the fridge for 30 minutes. Bake the pastry base for 15 minutes or until golden. Add in the lemon juice and the rest of the icing sugar and whisk until soft peaks form. Gently fold in the rest of the egg whites. Turn off the oven and let it cool in the oven for 60 minutes with the door open. If we are going to talk about cheesecake, it is only right if we go way back to its origin which is in the Greece. Being the first to popularize the cheesecake, it is only expected that they have their own signature twist to it. Kalitsouna is made with layers of buttered phyllo and cheesecake filling. 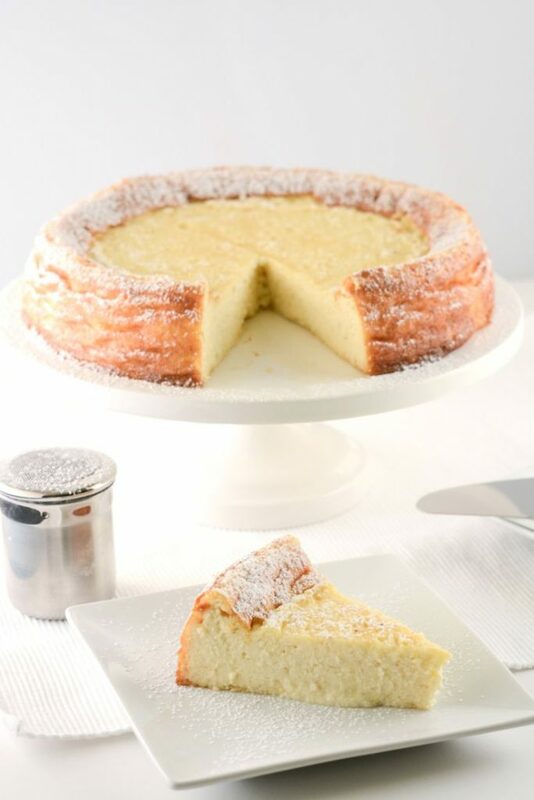 The cheesecake filling is made from a mizithra, a traditional and unpasteurized fresh cheese. The crispy thin phyllo skin will burst with creamy, tangy ooziness of the ricotta filling. It is so addicting you can’t help to have four in one go. Add in all the remaining ingredients in the dough section in the order listed, one at a time. Mix all the filling ingredients until well combined. Take a dough ball and place on floured surface. Roll into a rectangle, about 2 cm thick. Place a circle dough cutter in the middle and set aside the remaining dough. Add 1 tablespoon of the cheese filling and fold over. Pinch the sides to create shapes and close the dough. Repeat the instruction until all dough is used. If anything, it is only a norm to save the best for the last! 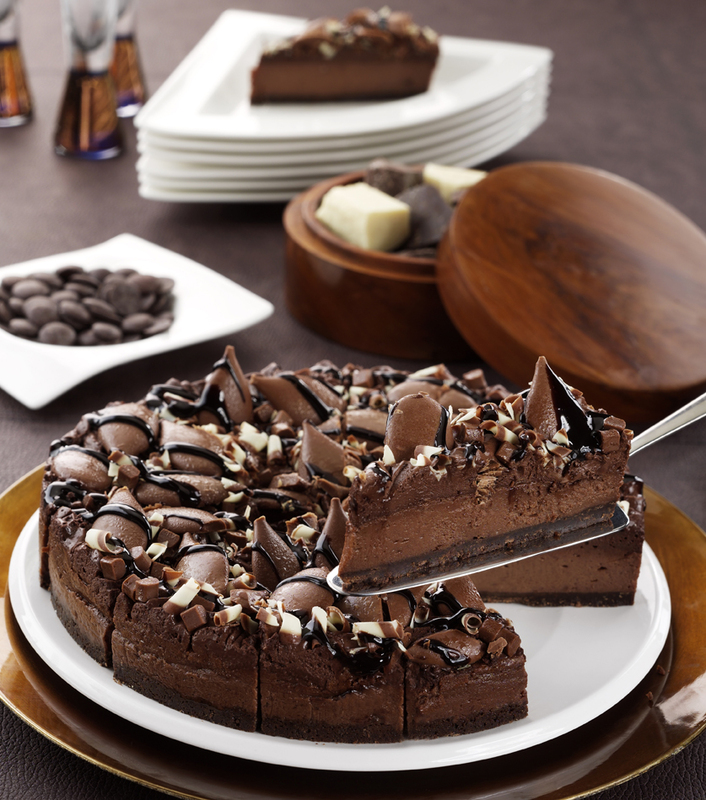 The love affair between chocolate and cheesecake is undoubtedly a guilty pleasure one simply cannot resist. Home for decadent artisanal chocolate, one can expect their cheesecake to be infused only with the finest chocolate, nestled in a traditional Dutch-Belgian spiced speculoos crust. The cheesecake is one not for the faint-hearted. Beat the cream cheese, sugar and cocoa powder until smooth and free of lumps. Add the eggs, one at a time and blend for 10 seconds each. Add the melted chocolate and blend to combine, scraping down the sides of the bowl once. Bake for 60 minutes or until the center is just set and the top looks dry. Let it cool on a wire rack for 5 minutes and chill in the refrigerator for at least 4 hours or up to overnight. Have you tried baking any of them? Which one is your favourite? We at Butterkicap definitely can’t pick on one because they are all just so good. If you have your favorite cheesecake recipe or perhaps your very own signature one, please share it with us. We would love to eat (more) cheesecake, especially if the best food enthusiasts (read: you, you and you) are the one sharing it with us.